What is mattress encasement? 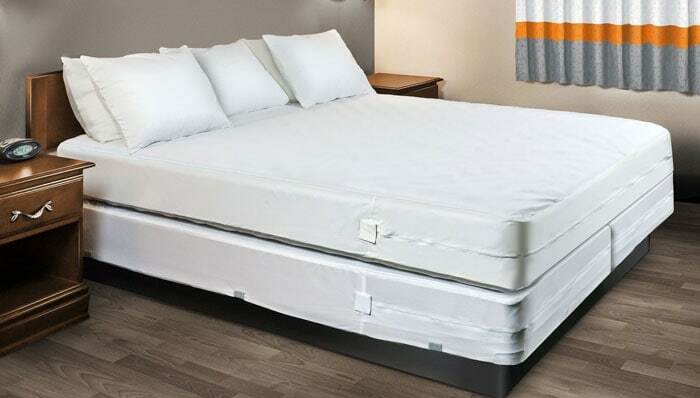 Read our Mattress encasement reviews 2019 and find out – also find out why many people need the best bed bug mattress encasement they can find. What does everybody need, young or old, all over the world? It’s SLEEP! Everybody needs sleep! It doesn’t matter who you are, you must rest and sleep well to keep yourself fit to face another day. What you don’t want is to wake up in the middle of the night with an infuriating itch that scratching will only make worse!! No, it’s not fleas or some allergy – it’s something that is often the subject of old jokes: it’s bed bugs! Bed bug proof mattresses allow you to sleep well at night without waking up in the morning with rows of spots that can be infuriatingly itchy. Bed bugs are not a sign of lack of hygiene or cleanliness and they can be found even in the cleanest of homes. They may not lead to disease, as explained later, but they can be extremely irritating, in all meanings of the word. Just as irritating to many are allergens such as dust mites and pet dander. This is particularly the case for asthmatics or those suffering other allergies. Bacteria can be another issue as can urine and any other liquids that can get onto your mattress. Here are some ways of preventing such irritations and potential health hazards. Here is my review of the 10 best mattress encasement 2019 and best bed bug mattress covers available today. Most are available in sizes up to California King, and I am reviewing the Queen size, although the size is largely irrelevant to the review. You can choose your preferred size at checkout. I also include the weight of the mattress encasement, the maximum depth/thickness of mattress it can encase, the percent of 4-5 star and 1-2 star reviews and my own rating based on a number of factors. 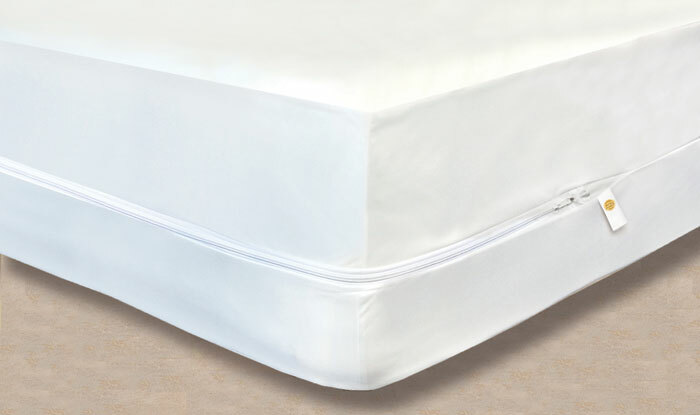 The Linenspa® zippered mattress encasement is Waterproof yet breathable with a polyester top and polyurethane layer inside. The polyester outside layer is designed to be soft and make very little or no noise when you lie on it. It is not only waterproof, but also keeps out fine dust, bed bugs, dust mites and other allergens. It comes with a zipper on three sides making it easy to fit the encasement onto your mattress. You can machine wash it to keep it fresh and clean, and you can use a machine dryer with it. As I note in the table above, it can fit mattresses up to 12 inches thick. Available in all size from twin (39 x 75 inches) and Twin XL (35 x 80 inches) up to King and CK, you can also purchase pillow protectors in Standard, Queen and King sizes. The Linenspa® zippered mattress encasement offers a dust mite and bed bug free sleep, and is ideal if you are allergic to dust mites. Like all our reviewed mattress encasements or protectors, you can select your size at checkout. Keeps your mattress clean and as new. Keeps your mattress free of allergens, bed bugs and dust mites. Available for a wide range of mattress sizes. The degree of resistance to water or other liquids appears to be limited. The mattress is protected if the liquid is cleaned up quickly, but not if left to soak in. Like all of those reviewed below, many of the 1-star ratings commented on poor seams that allowed bugs and mites to pass through. Editor’s Note: Not all 1-star reviews related to such negative comments. These particular issues were outweighed by around 15-1 by 5-star reviews and delighted users, and while we bring them to your attention, are noted by a minimum of users who may or may not be using the item correctly according to instructions. 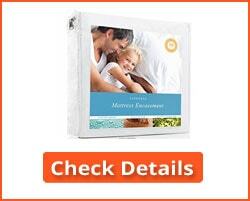 This appertains to all mattress reviewed detailed below. Refer to our Mattress encasement ‘About’ section following the reviews for information on such general issues with mattress covers and encasements. Manufactured by Hospitology, all six sides of this mattress cover are 100% waterproof and hypoallergenic. It prevents bed bugs, dust mites, allergens and bacteria from either entering the mattress or leaving it. It is ideal for asthma sufferers and bed bug protection. The zippered encasement can fit any mattress from 12 to 18 inches deep and is available in Twin XL, Full, Queen, King and Cal King sizes. You can select your preferred size at checkout. This hypoallergenic Mattress encasement not only keeps your mattress 100% free of moisture, but it is also constructed with a breathable membrane that prevents a build-up of heat while you are sleeping. It remains comfortable and cool, and promotes refreshing sleep. Note: if liquid is allowed to sit on the mattress, it may eventually filter through to the mattress. It should be cleaned up quickly. Waterproof and breathable, keeping your mattress cool and dry. Blocks bed bugs and allergens such as dust mites – suitable for asthmatics and others with respiratory conditions. Waterproof only very short-term – spillages should be wiped off quickly. Occasional complaints regarding tearing of the seams. As with other encasement mattresses, the name explains the function. 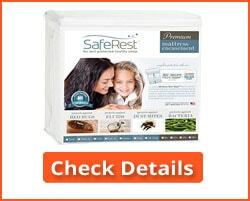 The SafeRest Premium Escapement Mattress Cover has been tested by an independent lab for its ability to prevent bed bugs, dust mites and other allergens from escaping from the confines of the mattress or from getting past the encasement cover into the mattress. Its purpose is to keep your mattress as fresh as when you purchased it. The entire mattress is protected against those above plus bacteria, perspiration, urine and other fluids. The design of the all-round zipper prevents bed bugs or mites in any stage of their life cycle from getting through between the zipper teeth. The surface of the mattress cover is made from a cotton terry material. The backing comprises a hypoallergenic membrane that allows air to pass through, keeping the mattress cool and fresh, but not allergens or any other type of dust. This surface also keeps the mattress free of crinkling noises while you move on it. This is an ideal mattress encasement for those with children or pets, who perspire readily or who are incontinent. It protects the mattress and keeps in practically store condition. All you need do is brush it and wash it occasionally to prevent any contamination of the cover itself. It is machine washable to make this task easier. Use bleach-free detergent and do not use bleach in the wash.
360 degree colure, with end zipper tab with Velcro flap to prevent accidental opening. Many negative reviews related to lack of ‘waterproofness’. It should be noted that most mattress covers will allow the ingress of water/fluids if the contamination is not cleaned up quickly. Others referred to zippers sticking or breaking. This may be due to the micro-zips used to seal the zipper against mites and bugs. Editor’s Note: The SafeRest Premium Mattress Encasement Cover may have come first in our list due largely to its high percentage of 5-star reviews were it not for so many comments regarding its resistance to water and other fluids. Many of these may have been due to spillages being left and not cleaned up quickly enough. This is a general issue with mattress covers, and restricted specifically to this make. 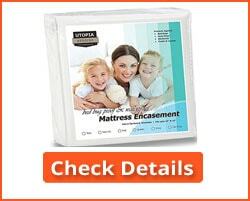 Referred to as a bed bug proof mattress cover, this Utopia Bedding mattress encasement does the same as all the others. It protects you mattress from being infested with bed bugs, dust mites, bacteria and allergens. Like all of the above mattress covers, this is ideal for those suffering asthma or other respiratory conditions. The thermoplastic polyurethane backing is free of PVC and vinyls, and resists spills and stains. The zipper opens up three sides of the mattress making it easy to fit and remove. The zipper cover prevents insects, mites and dusts from getting into the mattress at the zipper end. It also prevents any dust mites or bed bugs already in the mattress from getting out. The polyester fabric is easily stretched to fit the mattress and is comfortable to sleep on with next to no crinkling noises. This mattress encasement is suitable for mattresses up to 15” thick. It comes in Twin, Twin XL, Full, Queen, Cal King and King sizes – you can select your preferred size at checkout. As those above, the Utopia Bedding Waterproof Zippered Mattress Encasement is a waterproof mattress cover that keeps bed bugs and dust mites out of your mattress. It can be machine washed on a cold setting and tumble dried. This mattress encasement gets 76% 5-star reviews. Most complaints related to broken zippers and lack of resistance to liquids. This is very similar to complaints with other mattress covers. Editor’s Note: The Utopia Bedding Zippered Mattress Encasement is very similar to those above. The degree of resistance to water and other fluids leaking through to the mattress is under question, as is the quality of the zipper. Most mattress covers appear to have similar complaints. The LUCID Encasement Mattress Protector can accommodate mattresses from 6” to 18”thick. This thin mattress encasement is made from hypoallergenic material, and allows the mattress to breath while keeping out (and in) liquids, stains, allergens, dust mites, pet dander and bed bugs. It is claimed to be 100& waterproof, although. In addition to the Queen size, reviewed here, this mattress cover comes in six other popular sizes. It is easy to fit, with a zipper extending round three sides allowing it to be slipped on. The elasticized bottom side pulls the material in to form a smooth covering over the mattress. You can also purchase separate box spring and pillow protectors. It is effective in creating a barrier to common allergens such as dust mites and dander, and also keeps existing bed bugs inside the mattress, where they rapidly die, or from reaching it from the outside. It receives 65% 5-star reviews. Like many ‘waterproof’ mattress encasements, the LUCID seems to be more water-resistant than water ‘proof’. Many of the 1-2-star complaints referred to this. Unless the water or other liquid is dried off quickly, it can penetrate the cover and stain the mattress. Nevertheless, it does offer a degree of resistance. Other negative reviews refer to encasement integrity, and splitting at the seam. However, only 6% of reviews gave zero stars. Editor’s Note: Like all the other mattress covers reviewed, the LUCID mattress encasement appears to have received a few bad reviews relating to the same issues as all the others: resistance to liquids and integrity of seams or zippers. These may not necessarily be due to the encasement itself, but the way it is used. Refer to our ‘About’ section after the reviews for more information on this. The Sleep Tite Mattress Encasement Protector is a 100% polyester mattress cover claimed to be 100% waterproof and completely block allergens, mites, bugs and liquids. The zipper on three sides is also stated to be bed bug proof. The encasement is stated to provide a ‘quiet and breathable’ sleep-promoting surface. Available in ten different sizes plus a crib size (28”x 52”). Top cover removable and machine washable. Some complaints in 1-star reviews regarding integrity of zipper and seams, although it is not clear whether this is due to the handling of the item or is a genuine fault. The vast majority of reviews are positive in this respect. Editor’s Note: As previously stated, the complaints regarding level of waterproofing, zipper and seams are very few in relation to the large number of positive reviews. Generally, however, the micro zippers on mattress encasements or mattress covers appear to require careful handling. Hard or rough pulling on the zipper seems, in some cases, to damage them. The UltraPlush Waterproof mattress protector is a luxuriously soft mattress cover that is stated to contain 25% more waterproof material than regular mattress protectors. It offers a 1-year 100% money back guarantee if you are not satisfied with your purchase. This is in addition to the 20-year warranty. This mattress encasement claims the same as all the others do – to be waterproof, allergen proof and to keep out (or in) bed bugs and dust mites. The vast majority of reviews support this. Only eight of the 29 1-2 star reviews related to moisture getting through it. That is out of 658 reviews, which is an excellent positive. More waterproof than most – only 1.4% of reviews claimed some moisture got through. One moisture complaint received an immediate refund. 95% Reviews offered 4-5 stars. Few complaints regarding integrity of seams and zipper. Some complain about the mattress protector heating up during the night. The hypoallergenic fabric requires careful drying. It does not cover the whole mattress – just the top and sides so does not offer complete protection. Editor’s Note: This appears to be a very good choice of mattress protector, but is not an encasement if that is what you are looking for. If reviews are anything to go by, it is extremely waterproof if not quite 100%. That said, eight negatives do not indicate a waterproof issue, more of rare cases which depend on the time involved before the issue was noted. Many waterproof materials will permit passage of some moisture or water vapor if soaked for long enough. The fact that it does not cover the bottom of the mattress may also be an issue. If your major properties involve resistance to liquid spillages and a good barrier to bed bugs, mites and allergen dusts, then the Ultra Plush product should meet your needs although you might prefer to look for a genuine encasement, covering both top and bottom and the four sides. Available in 6 sizes plus a crib size, the Tru Lite Bedding Mattress Protector claims to offer protection against the usual suspects: bed bug protection, dust mites, bacteria, allergens, urine and other liquids. However, it is not an encasement but a cover like a fitted sheet. It does not protect the bottom of the mattress. It is made from cotton and is vinyl, PVC and phthalate free. It can be machine washed and tumbled dry (low setting.) It is designed to Make very little noise and not slide about when in use. This is another mattress cover where the 100% waterproof claim is not supported by reviews. A few comment that the top seems quite waterproof, but the sides not so, and any liquid spilling down the sides tend to stain the mattress. Again, much of this may be due to the amount of the spillage, although some of the complaints infer that this only happened after a few washes. Comfortable and breathable, and tends not to become too hot. Soft, silent material that does not crinkle. A lifetime warranty, but the terms are not published. It is machine washable and can be tumble dried. This is not a mattress encasement. Just like an elasticized fitted sheet, it covers the top and sides of the mattress but not the bottom. It is difficult to see how this keeps bedbugs and dust mites in or outside the mattress! Many reviews are positive about its use as a mattress cover, with few comments regarding its omissions. Editor’s Note: The Tru Lite Bedding Mattress Protector is not a mattress encasement. It is mattress protector, fundamentally covering the top, sides and ends of the mattress. For this reason, it cannot be regarded as being bug proof or to present a barrier to dust mites. That said, if you are looking for mattress protection rather than total mattress encasement, then this will meet your purpose. The Coophomegoods Ultra Luxe waterproof mattress protector provides high-quality protection for your mattress against spillages of any type: water, perspiration, food and drinks, pets, accidents and incontinence. In addition to this protection, mattress protectors may be very important to your warranty. Most warranties will become invalid if they are even slightly stained, even if the reason for invoking the warranty is sound. The LullitraTM rayon used in this mattress topper is a blend of polyester and viscose derived from bamboo blends. It provides superb comfort during the night, and features a proprietary polyurethane backing. 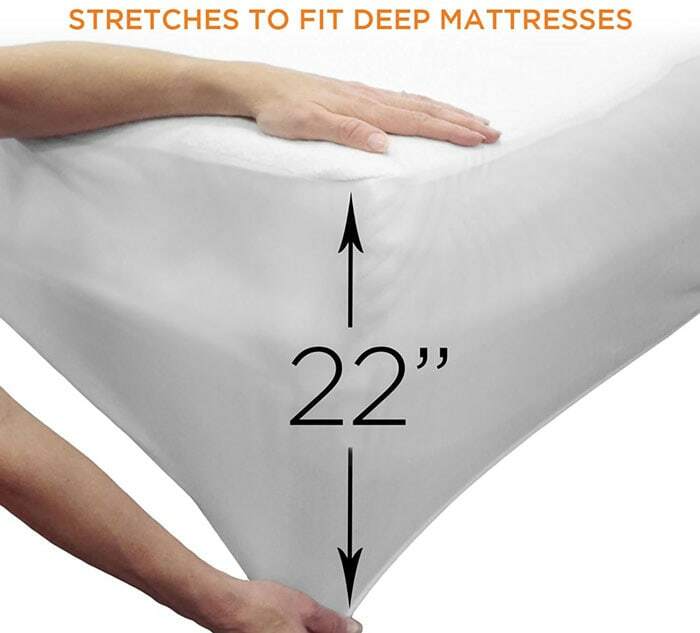 The entire mattress protector is silent in use, and the AccuFIT mesh band round the perimeter expand s to create a tight fit on mattresses up to 18 inches thick. This proved perfect isolation of the topper from the mattress, and it holds your sheets snugly to the mattress. It is easy to machine wash at a cold setting, and to tumble dry on low heat. Do not use bleach or fabric softener, and do not iron. Provides a waterproof barrier under your sheets and over your mattress. 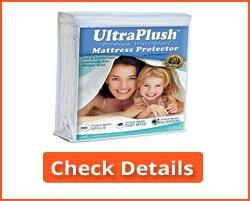 This protects the mattress from stains and prevents staining from invalidating your warranty. The Lulltra polyester and viscose rayon is hypoallergenic, protecting you and your mattress from pet dander, dust mites, molds and bacteria. Available in Twin, TwinXL, Full, Queen, King and California King sizes. 30-day money back guarantee – return it within 30 days for a full quibble-free refund. This is more of a fitted sheet than an encasement. It protects the sides and top of the mattress, but does not encase it all round. There may be some disagreements over its cooling properties. Like most mattress protectors and encasements, this is likely more water resistant than “waterproof.” It does protect from spillages for a while, but any large ‘accidents’ would need to be mopped up fairly quickly before they ultimately find their way through the fabric. Editor’s Note: No mattress protector is 100% effective unless it is made from sheet plastic. 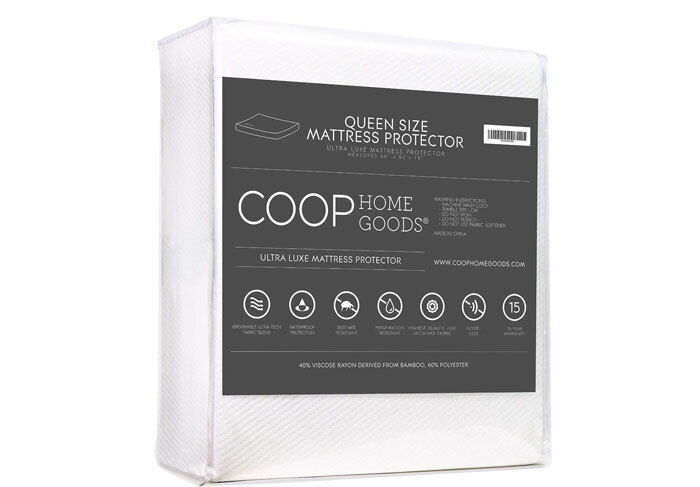 Any woven material can be water-resistant at best, and the Coophomegoods Ultra Luxe waterproof mattress protector is a prime example of this. It will protect against a spillage for a while until you get it cleaned up, but will probably not protect your mattress from large scale spillages that are left untreated for long periods of time. 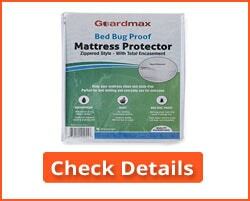 The Guardmax Bed Bug Proof Mattress Protector does protect your mattress from bedbugs, as do practically all those we have reviewed. It is also waterproof and prevents contamination with dust mites, other allergens and bacteria. It is also quiet without the crinkly sound you get with some mattress protectors and encasements. You can machine was and dry it. It comes with a tight zipper closure that itself is claimed to be resistant to liquids, bed bugs and mites. Comfortable and quit when you move around on it. Resistant to bed bugs, mites and dusts. Many people have complained about the level of waterproofing. Many claim that liquids can get through it, although this may be connected with the length of exposure. Many more have stated their satisfaction with the ability of this mattress protector to keep liquids out. Some have found that the zipper tab sometimes runs of the end of the zip, but this may be a manufacturing fault because this seems to be an issue with only a small minority. Editor’s Note: This is a high quality bed bug proof mattress encasement. There does seem to be some issues regarding its waterproof and zipper properties according to some, although 72% of reviewers have given it top marks. Some people may be ultra critical, and our own testing has indicated it to perform well in this respect. This is true of most mattress protectors and encasements we have reviewed. Bed bugs tend to live in the seams and tufts of your mattress and also in the seams and folds of your sheets. Their eggs are white, as are the newly born nymphs. The quickly become darker as they start feeding, and adults are about the size of a rice grain in a pale tan to orange color. If they are encased within a mattress or box spring, they will soon die. Some people encase their mattresses or box springs when purchased to prevent the bed bugs from getting into them or beneath the mattress cover. If you prevent the bugs getting into the crevices of the mattress, then it makes it easier to keep the surface of the mattress free of them. However, an encased mattress can still have bed bugs crawling about on the surface of the casing. One issue noted in reviews is the fact that, sometimes referred to as mattress covers, mattress encasements themselves are not bug proof. They are not intended to be. They are intended to prevent bed bugs and allergens already in the mattress from escaping (they die off quite quickly) and from them getting into the mattress from outside. Note that bed bug infestations can occur on top of the encasement or mattress cover. These generally occur under zip covers or in folds in the cover. That’s why they should be washed regularly. Mattress casings are generally made from hypoallergenic fabrics. These not only give a bad signal to bed bugs, but the best encasements are also repellent to mites and the bacteria which can cause disease if you break the skin when scratching. Note that an encasement covers the entire mattress, while many covers or mattress protectors are fitted like a sheet and do not cover the bottom of the mattress. For that reason they do not offer 100% total protection. 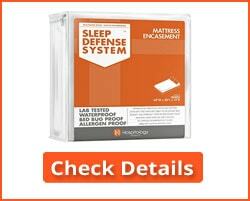 A mattress encasement or mattress protector does what it says it does. They are fundamentally the same thing, encasing your mattress so it is protected from the outside. Basically, what is inside your mattress stays there, and what is outside cannot get in. It is a barrier both to living creatures such as dust mites and bedbugs and to allergenic dusts such as pet dander and other dusts. Any bed bugs inside the mattress are locked there and will quickly die. Most also keep out bacteria and they must also be waterproof to prevent urine and other fluids from contaminating your mattress. One of the issues with mattress encasements is how well they keep out liquids. Many are claimed to be 100% waterproof, yet will allow liquids though if they are left lying on the mattress protector long enough. Others will be resistant to small spillages, but may not resist continued longer spillages or fluid emissions such as urine. A mattress cover, on the other hand, may not protect the entire mattress. It might only cover the top and sides, but not the bottom. It is important when buying a mattress cover to make sure it does what you need it for. Some people purchase a mattress cover believing it to be a mattress encasement. Some covers are marketed as mattress protectors, although they are not such in generally accepted meaning of the term. So be careful and check what you are buying. 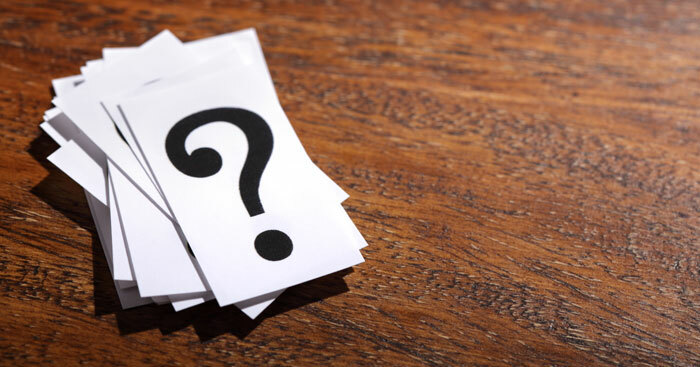 What are the important factors to consider when buying mattress protectors or encasements? Well, for starters you must understand what you want it for. That can establish the material you should be looking for. If you want it for domestic indoor use, then go for a polyester or cotton mattress encasement. If you need one for camping outdoors, then something stronger would be better – PVC or polyurethane fiber would likely suit you. Most people need their mattress protector for indoor use in their bedroom. Cotton or polyester would be good, and it should be water resistant and easily to clean. You should also look for a good zipper or some other method of fixing the protector to the mattress. Zippers on three sides is the most convenient layout. 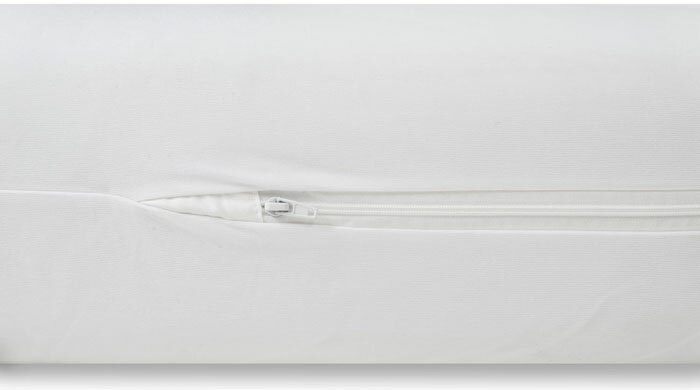 Zippered covers offer most protection because they are true mattress encasements, encasing the entire mattress and offering maximum protection – keeping any existing bugs or mites inside the mattress in and stopping any others getting it. Check the zipper before buying – some zippers are difficult to use and the zipper tab on others is not covered. You need a good cover over the zipper tab at its end once zipped shut. 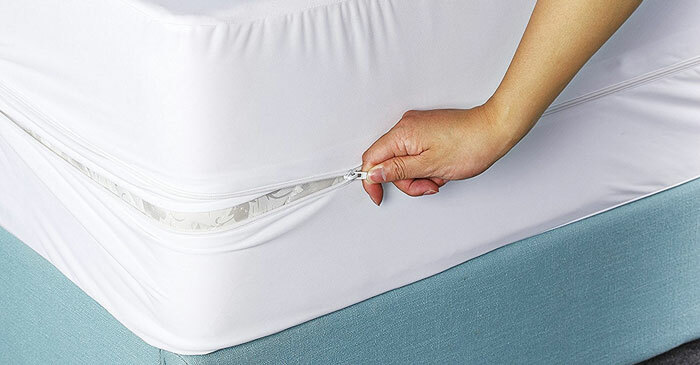 This prevents moisture, bed-bugs and mites getting into the mattress through spaces at the pulling tab end of the zipper where there is usually a small space – it only needs to be tiny! If not, then you will have to use some sticky tape to cover it. Elastic mattress protectors keep the mattress cover in place, but do not generally cover the entire mattress – the base is usually not covered, or only partially covered. This leaves the possibility of dust mites or bedbugs getting under the protector and into the mattress. Elastic covers are never 100% proof to bugs and allergens. The same is true of a fitted mattress cover, but with slightly less protection than the elasticized protector. Check the size and the thickness of your mattress. Most mattress protectors and encasements give an indication of the thickness of mattress the product will fit. This often comes in a range, as you will see in our chart above. A wide range indicates that the cover might be loose and move around about a bit at the lower end, while the higher end will be tight. Be careful at the higher end of the range that you don’t burst the seams getting it on your mattress. Make sure that you state the mattress encasement size you need at checkout and whenever asked. White might mean cleanliness but you may regret that choice as the mattress protector ages. White looks good in guest rooms, but for a child’s mattress you must go colored if a color option is available. It is not always – most are white. Your own room? Depends on how confident you are! 1. Will my mattress encasement keep the bed bugs away? It will prevent any bed bugs already in your mattress from getting to you. It will also prevent bed bugs from getting into your mattress. If you live in a district known for bed bug infestations, make sure you check the encasement or mattress protector for small black dots and wash it regularly. 2. Will my mattress protector stay on my memory foam mattress or will it move around? It will stay on if it the mattress is fitted to completely fill the cover. If it is too large for mattress, it will move around. 3. Will it block smells coming from the mattress? It might do. If you give your mattress a good spray with a disinfectant then it should block any bad smells, though it is not specifically designed to do this. 4. My bed is infested. Can I use a mattress encasement or a mattress cover? Give the mattress a spray treatment first, making sure it is not toxic to humans. The mattress encasement will prevent any infestation getting out of the mattress. A mattress cover or protector that does not cover the entire mattress might not be enough. 5. Can I use a mattress pad along with a cover or mattress encasement? Yes you can. 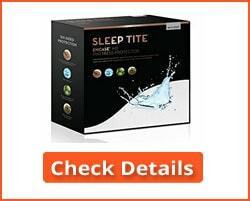 This would improve comfort without damaging the mattress protector’s effectiveness. Just make sure it first properly over the mattress pad. While the various types of mattress protector can be very effective, the best types appear to be mattress encasements. The best mattress encasements are bed bug proof and waterproof, and also keep various types of allergens out of the mattress – and keep them in. It’s important to understand that mattress protectors keep allergens such as dust mites inside the mattress until they die – same with bed bugs. You can use a contaminated mattress with a mattress encasement without fear. Mattress covers that fit like a fitted sheet and do not protect the bottom side are not so effective in this respect. However, they are good to use with clean or new mattresses. Crawling insects such as bed bugs can work their way under the mattress onto the upper side of the cover and then onto you. It’s your choice which you use, and we are sure that our advice will help you make a good choice for your needs.